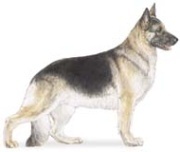 German Shepherd Dog - one of the most versatile herding dogs! A Much Admired And Intelligent Dog! The German Shepherd Dog, is of true German origin, with most credit for the breed's development being given to Max von Stephanitz during the late 19th century. The breed was at one time called the Alsatian, but later that was changed and he now remains universally known by his present name. During World War I, it is said that 48,000 of these dogs were taken from their owners for war service. Although this breed is classified under herding dogs and was originally developed as a worker for pastoral duties, his talents go way beyond the farm. He is an extremely versatile dog with multiple capabilities. In fact, he is among the top breeds chosen for work in search and rescue, mine detection, drug detection, guarding, security, and providing assistance to the disabled. The German Shepherd Dog is handsome and dignified with an alert expression and confident demeanor. He at once gives an impression of both strength and agility. Well-balanced, substantial and muscular, his a body is slightly longer than its height. Oddly enough, he has a low pain tolerance and a very sensitive stomach. The German Shepherd Dog is one of the most popular dogs in the United States. That being said, his popularity has led to some indiscriminate breeding. What this means, is that without due diligence, you may unknowingly acquire a dog that does not live up to the wonderful qualities usually associated with this breed. Dogs from this breed that get a bad wrap, have usually been the result of bad breeding. Institutions that train this dog for specific duties, generally obtain their dogs from Germany where breeding standards have been more consistently maintained. Fortunately, responsible breeders here in the United States are working toward restoring the best qualities of the line. Given a well-bred dog, you may expect to enjoy a very smart companion who can learn almost anything, as he has ably demonstrated to the world. However, he is aware of his power and potential and needs a firm, but not harsh, hand to lead him. As a family companion, he is devoted, loyal and courageous. He very much enjoys close ties to his family and is said to have human-like intelligence. German Shepherds are athletic and do very well in the competitive arena showing excellence in agility, flyball, tracking and also in obedience. Coat colors: Most rich colors are preferred. Often seen are Black and Tan, Light Gray, Gold, and Sable. White is disqualified in the standard. The double coat is mostly seen in a medium length, with the outer coat being dense, harsh and straight, but some are seen in longer wavier coats. Hair around the head, paws and legs is short, with thicker and longer hair around the neck. This breed does shed a lot year-round in addition to the periods of seasonal shedding when it is really heavy. Owners have found an Undercoat Rake to be a "must have" tool in their grooming arsenal. This, used along with a FURminator , will keep the inner and outer coat shedding well-managed. For general coat maintenance owners will also want to have a comb, some brushes such as Pin, Bristle and Slicker types, plus a pair of Round Tip Shears for touch-up trimming. Bathing only needs to be done as necessary, but as German Shepherds are prone to skin allergies, it's best to select a hypoallergenic shampoo without soap such as this one: Vet Solutions Aloe and Oatmeal Shampoo , to prevent skin problems and loss of protective natural oils. If the coat is kept in good condition, maintenance doesn't have to take up too much time. Regular daily walks are the name of the game for the German Shepherd dog. His active mind enjoys both mental and physical challenges and outlets. He will do well and make you proud if trained in competitive sports such as flyball and agility. This loyal dog loves to be in close contact with his human family pack and does not do well if left outside without companionship and activity. Ideally, this breed needs a securely fenced yard to exercise freely in addition to being taken out. 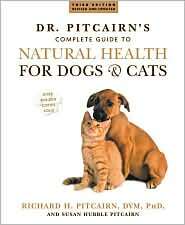 He does not bark without good cause, so apartment living can be sufficient if regular outings and walks are provided. The German Shepherd Dog has a good reputation with children in a home where he has been well-socialized and trained by his master from an early age. Due to his size, better with well-behaved older children. The best policy to follow, no matter what the breed of dog, is to always have an adult supervise activities between pets and children. Due to their success as a service dog, a trained dog of this breed can make an excellent companion and watchdog for a not too frail elderly person, providing the basic exercise requirements for good health can be arranged. Do you have a German Shepherd dog? If you do, we know you must be proud to own this wonderful dog breed. We would love for you to share your dog's pictures and his story as well as your knowledge about the breed in general. You can upload photos and tell your dog's story here. For inspiration, read some of the stories already submitted by other dog lovers. This breed is prone to many health problems - digestive problems being high on the list - and should be fed a high quality nutritious diet to provide the best support to their immune system.